There are approximately 3,000 species in this order and all are easily recognised by their large hind legs, which have been modified for jumping. They are found in every part of the country, but are not always easy to spot. Most species are experts at camouflage and concealment and only give away their presence when they move. Generally, they have two pairs of wings, the forewings being narrower than the hindwings. The forewings are slightly harder and cover the hindwings when at rest. Their heads hold a pair of compound eyes and a pair of antennae, which vary in length. The majority of species are herbivores, eating grass and leaves, but a few species are omnivores and predators. When conditions are right, some populations of grasshoppers explode into plague proportions, eating everything in their path and causing no end of grief for crop farmers. Their life cycle is an incomplete metamorphosis. 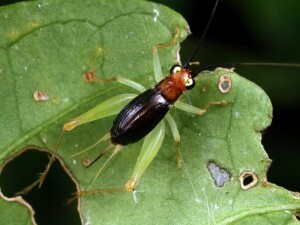 After hatching, the nymphs, which look basically the same as an adult but without wings, go through a series of moults until they reach maturity. 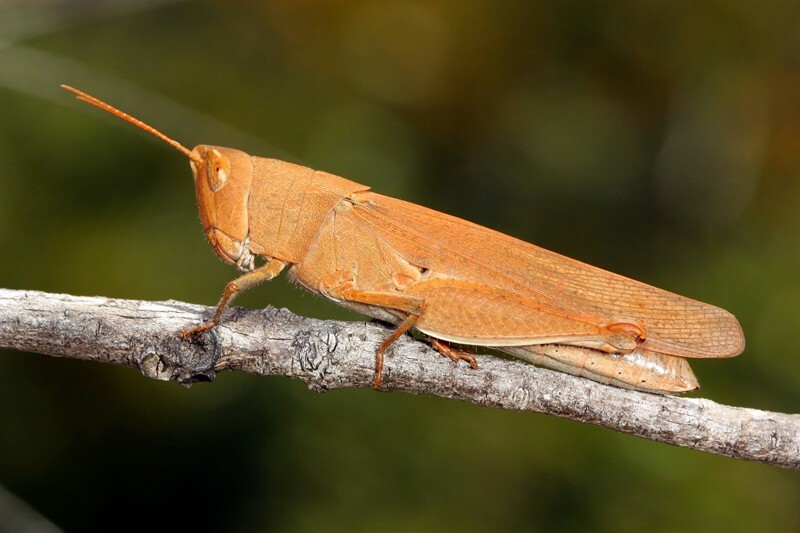 Grasshoppers are a little easier to find than crickets and katydids, especially in open grassy areas, and are usually very active during the day. Crickets are more often nocturnal and their soft chirping can be heard during mild nights. During the day, they hide under objects or in vegetation. 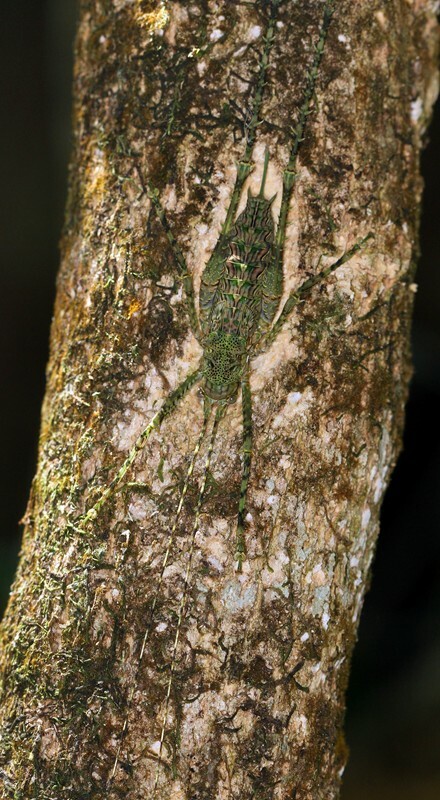 I have usually found Katydids more by luck as they are very well camouflaged and prefer to stay in shrubs and trees. Some of them mimic leaves to perfection and move very slowly, only jumping or taking flight as a last resort. You might notice I have given one or two specimens a couple of names because they are very similar in appearance and I haven’t been able to spot a discernible difference. I’d rather not do that sort of thing, but sometimes two names are better than none at all. Mimetic Gumleaf Grasshopper, Goniaea opomaloides. Special thanks to David Rentz for his kind assistance with a number of grasshopper and katydid identifications.